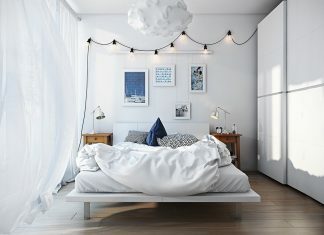 Roohome.com – Some designer below is creating gorgeous bedroom designs that are very imaginative and peaceful. You can choose one of the ones you love. Someone is known by their attitude, he was also honored by his appearance. 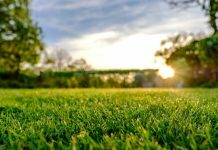 We have the simple question for you! Where is the place that you can be yourself? A place where you can do anything or does not use any clothes. If your answer is “Bedroom” You are right! A bedroom should be the special room rather than the other. You have to choose the best design that can fits and perfect with your style. So, you can feel cozy while lounging all day. The element that you want to apply in there must be friendly with your place and the theme that you want to appear. We hope that you can get the best references below, and you can have the special one for your cozy place. LP Architektur creates a space with full of a wooden element that shine. 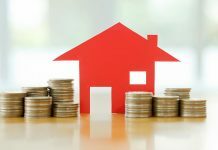 Start from the floor, ceiling, sills, and the furniture. He also applies the window in the ceiling that makes the room more bright. 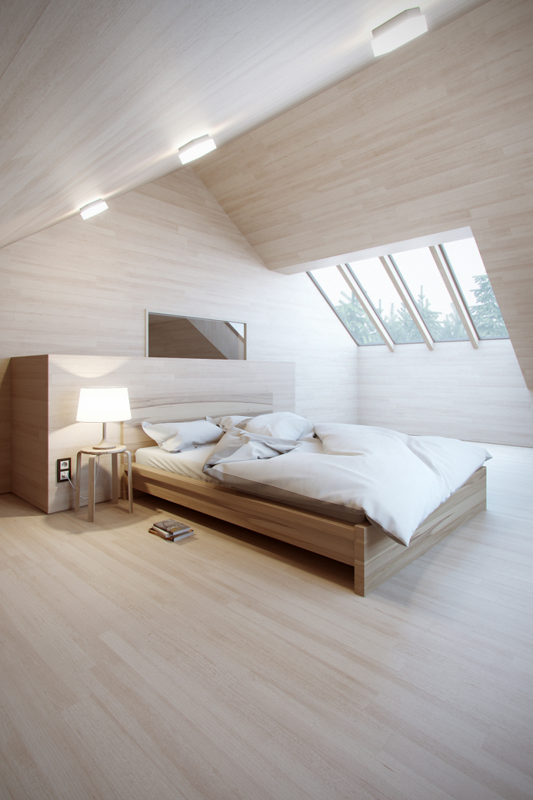 Actually, this is a simple nice bedroom design. But, the designer creativity magically changes it into the awful space. 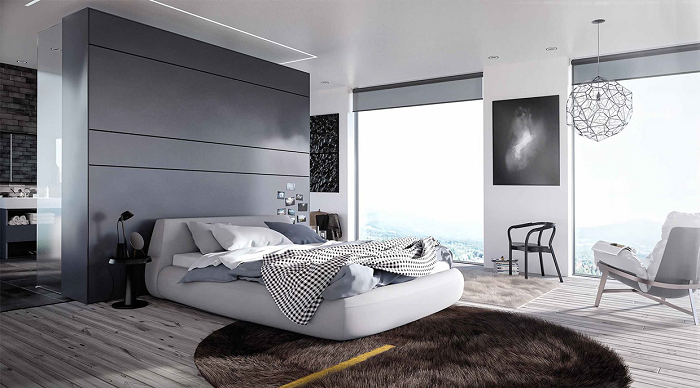 A bedroom is a place that can make you find the creative idea when you open your eyes in the morning. 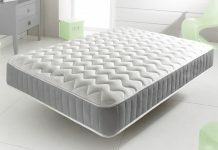 Choosing the suite bedroom design with your daily activities would make you be one with it while resting. 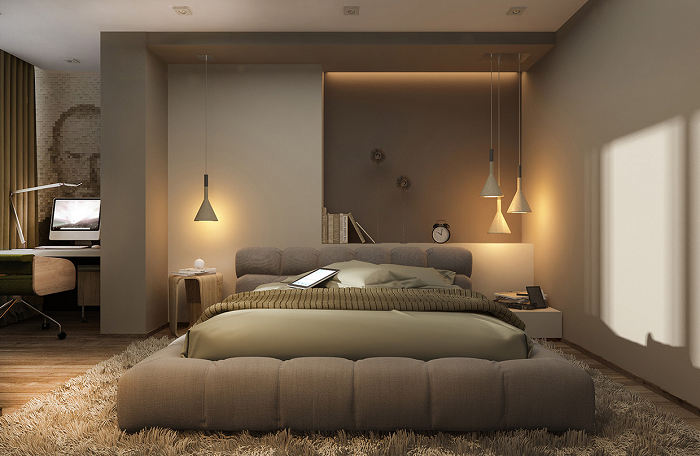 The large and open window design helps you to relax before going to bed. It can be a good place for drinking a cup of tea or milk when you wake up in the morning. A brown shag carpet can be the furniture that brings a warm feel. 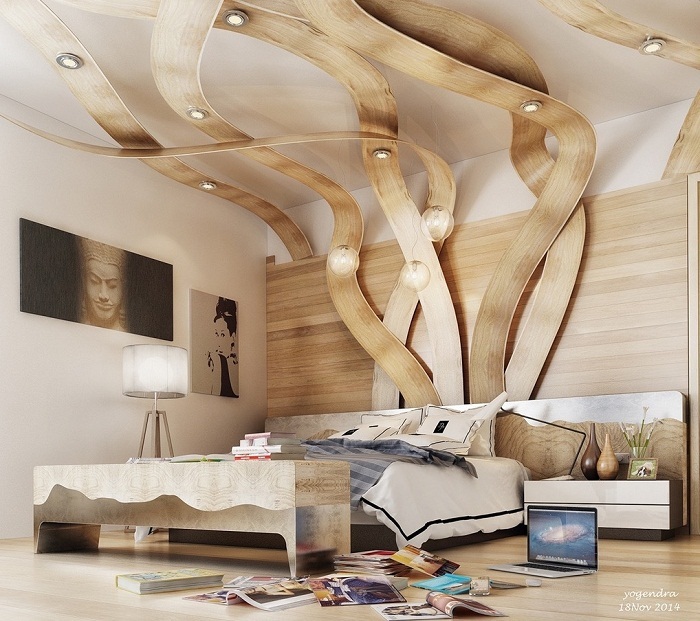 The beautiful ceiling design with the brown shades is suitable to beautify your special room. Putting a little bit of lighting is also good for it. A unique paint wall decoration is the best decoration for this unique space. 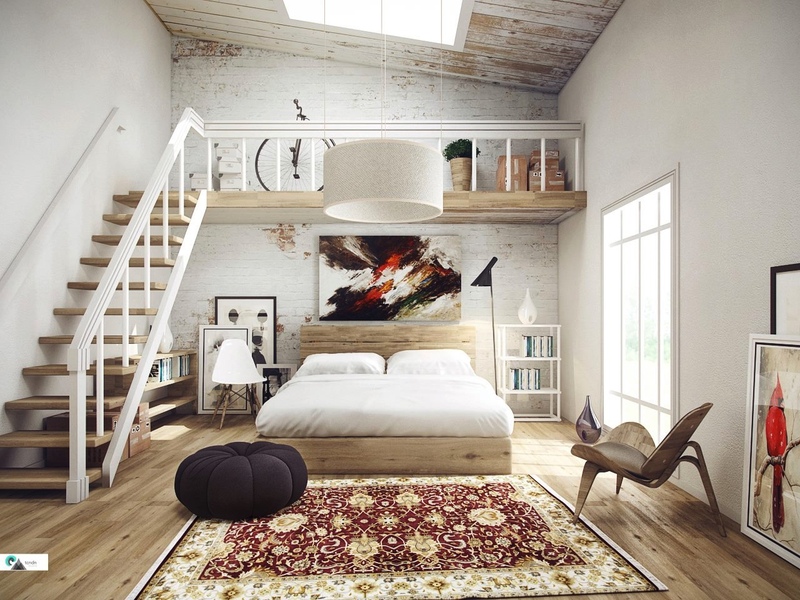 How gorgeous bedroom designs! Cool and stylish design that can make you drool! You have to see, how the red brick wall hold the important role there. You have to use the whimsical wall decoration to realize this stylish design. 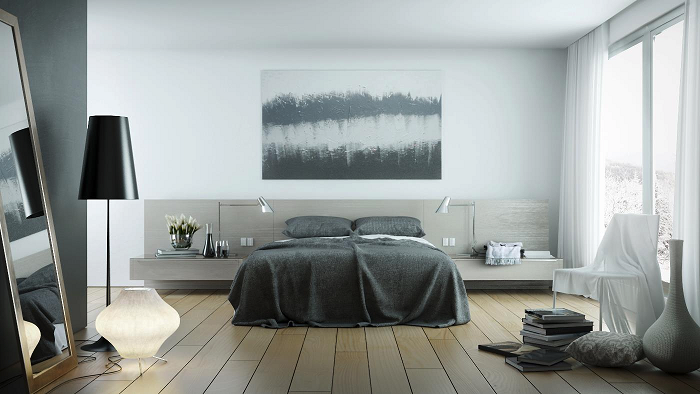 If you want to have the simple bedroom with the neutral color, Black Haus has already visualized it in this soft design. He was combining the gray color with the other neutral color. Putting the black standing lamp with the artistic lamp design is also decorating this simple interior. The warm and welcoming atmosphere in this bedroom are not only making the owner easy to fall asleep fast but also not easy to leave the bed in the morning. The milk chocolate shades are creating the smooth tones. You only need to reducing a light in this room. Do you have a teen? This masculine design is perfect for your teen boy. 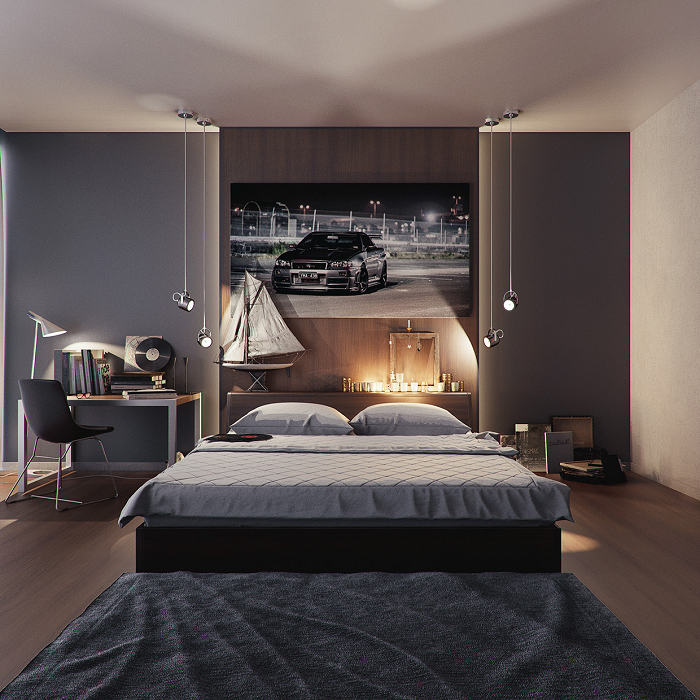 The dark color is dominating this room. The sports theme is also suitable for it. 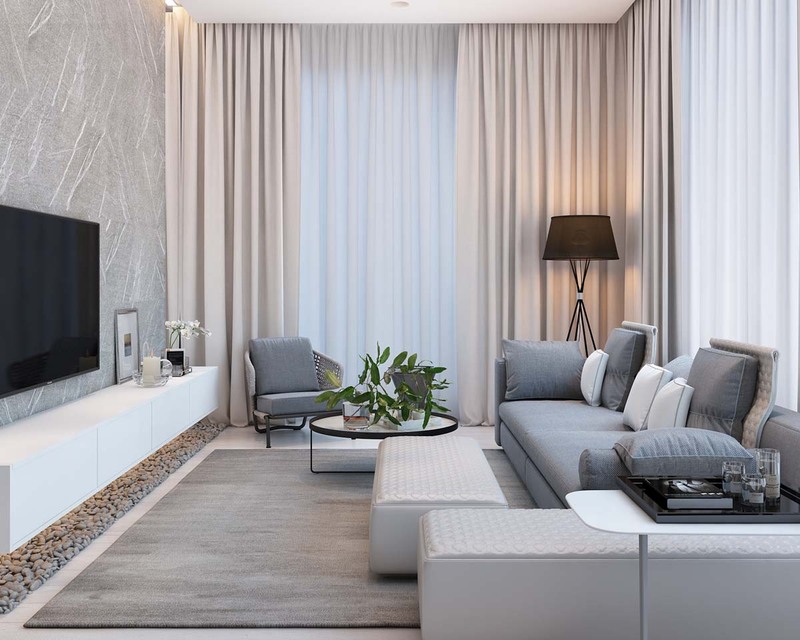 You can make the unique and stylish furniture complete the design. 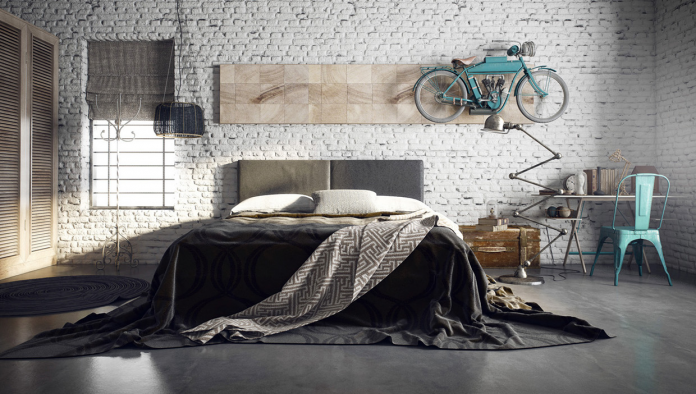 The vintage bedroom decor style is the great one for your bedroom. 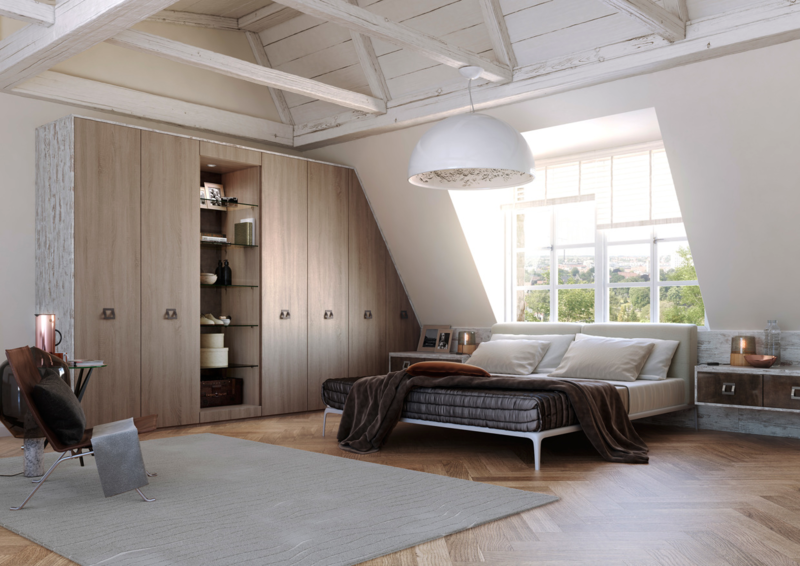 It is a good idea to make any space for storage your equipment in the loft. Putting the artistic creation can make it looks like a mini art gallery. 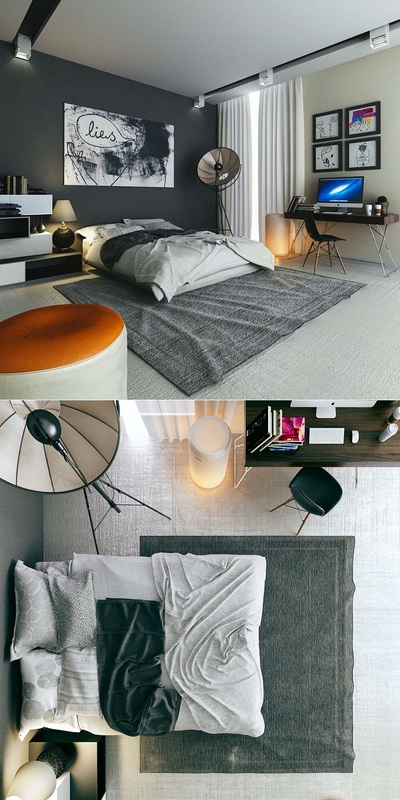 The last gorgeous bedroom designs inspiration comes from Visual Method. They visualize the traditional and modern style in one space. It will make you need 5 minutes more in the morning to wake up.